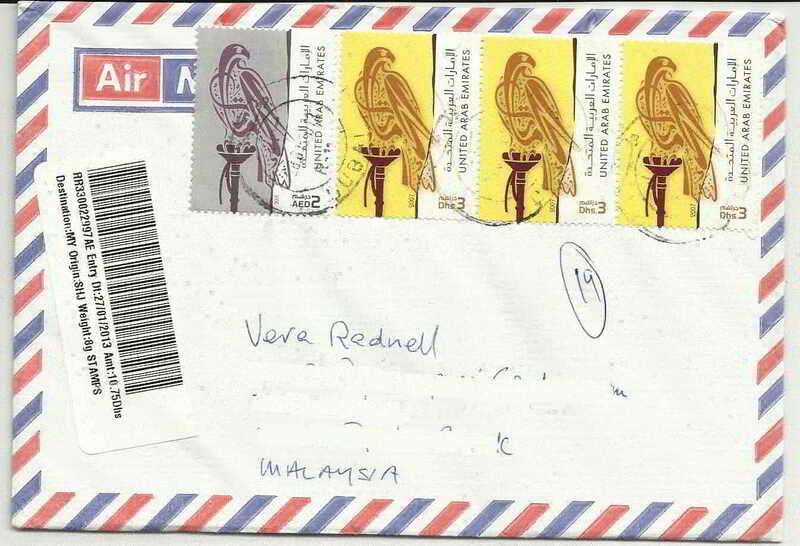 Although the designs are stylized, the defintive stamps of the UAE represent the Saker falcon which is the second largest falcon in world after the Gyr Falcon. These fast flyers are traditionally trained for hunting in the sport of falconry. Cover sent registered from Dubai.